I found some #Ecuador twitter #bots or troll accounts this morning, right after #Assange's arrest I just checked the API for "assange" and noticed some very uniform data. Only a few hundred or so but they were kinda interesting. The accounts are now suspended, but they were replying to this tweet from the president of Ecuador using the hashtag #EcuadorSoberano. #IsraelElections2019 Who to vote for? Fascinating talk this morning with Rabbi Professor Jeffrey Woolf. What's going on with American Jewry vis a vis Israel? AI has met a fork in the road; which path will dominate? @CSU @ManfredWeber 1/x Dann sorgt dafür, dass im @EUCouncil gegen diese unsägliche Reform gestimmt wird, die nur wenigen großen Verlegern und Verlagen hilft, aber Künstler, Freischaffende, selbst jeden EU Bürger zum Verlierer macht. @CSU @ManfredWeber @EUCouncil 2/x Habt mal einen Arsch in der Hose, nicht dass euch da Lobbyisten reinkriechen, nein, um NEIN! zu sagen. NEIN WIR WOLLEN DAS NICHT! Aber gut, träumen wird man ja mal dürfen. @CSU @ManfredWeber @EUCouncil 3/x Denn wenn die #CDU,#CSU und @CDU_CSU_EP etwas gut kann, dann ist das jegliche Träume und Hoffnungen zu zerstören, eine ganze Generation zu diffamieren und zu verleugnen und wegen ihrer Bedenken zu #Artikel13/#Artikel17 als #bots zu bezeichnen. The most logical explanation is spam. BUT the amount of bots the trolls that retweet these accounts is extremely suspect. these accounts were found while looking around at some data I pulled from this set of accounts in this thread. Conseil quand vous voyez un tweet de facho : copiez-coller son contenu dans la recherche Twitter. Vous trouverez quasi-systématiquement des tweets 100% identiques, en nombre. Alors bien sûr de vrais et authentiques fachos y'en a pas mal hein, mais cet astro-turfing leur donne l'impression d'être vraiment nombreux, ce qui légitimise leur vision et propos. C'est à ce moment-là qu'ils prennent la parole à leur tour. 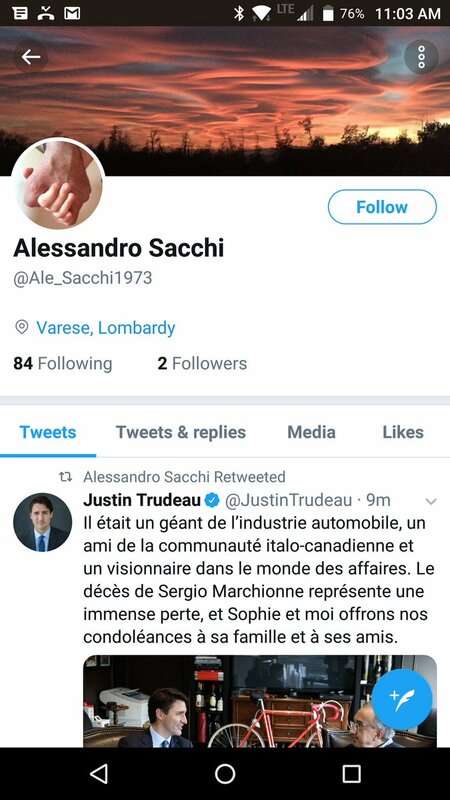 Et c'est pas cantonné à Twitter. Ein Problem, dass ich bei der Urheberrechtsdebatte sehe ist, dass es von einigen Leuten als rein Schwarz/Weiß angesehen wird. wenn nicht sogar akzeptiert oder sogar ermutigt werden. Fanfiction, FanArt oder Cosplay Beispielsweise. Das ist Ausdruck der Fan-Kultur zu Büchern, Filmen, Serien, Comics und Spielen. und verursachen keinen Verlust für die Firmen. #Q links to #FoxNews & says "Buckle up!". It's looking good for a D5 info drop on the others that met secretly to plot against #POTUS with the use of a 25th Amendment scam. @Normal_Life4all @washingtonpost Capital letters: LSOTU =87 Justice=87 TODAY? @Normal_Life4all @washingtonpost State Of The Union!! For 4 days, I captured more 700K tweets with the words "gilets jaunes" or the hashtags #GiletsJaunes. 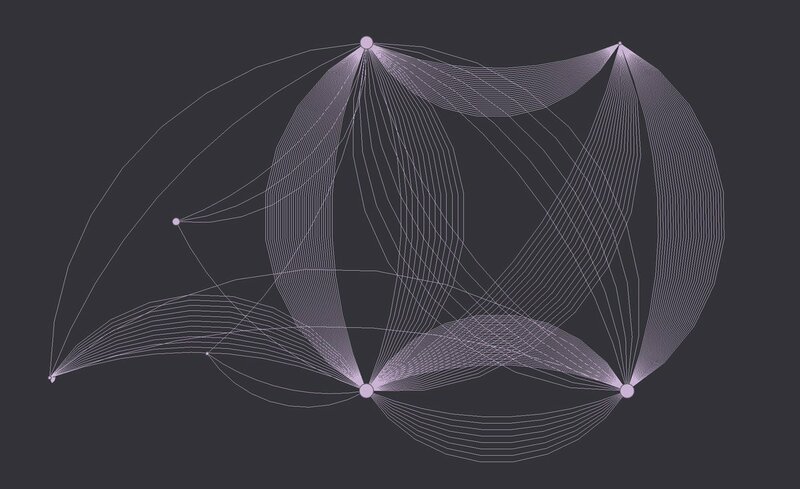 - a node is a twitter profile. 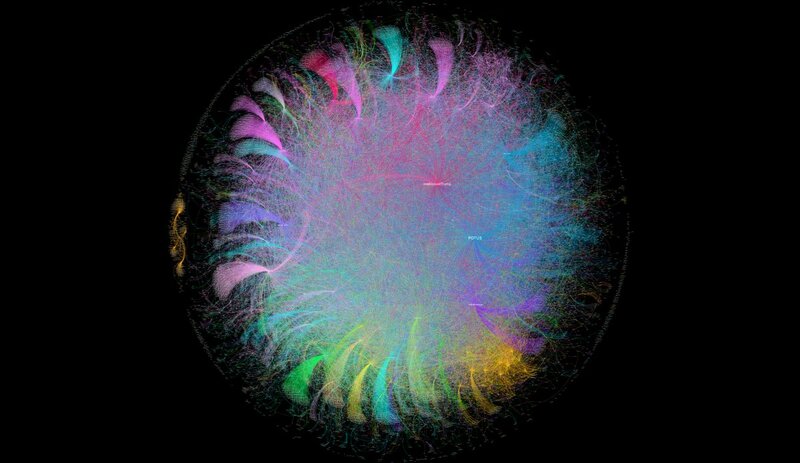 In this photo, I isolated the 8 most influential Twitter profiles of a community. 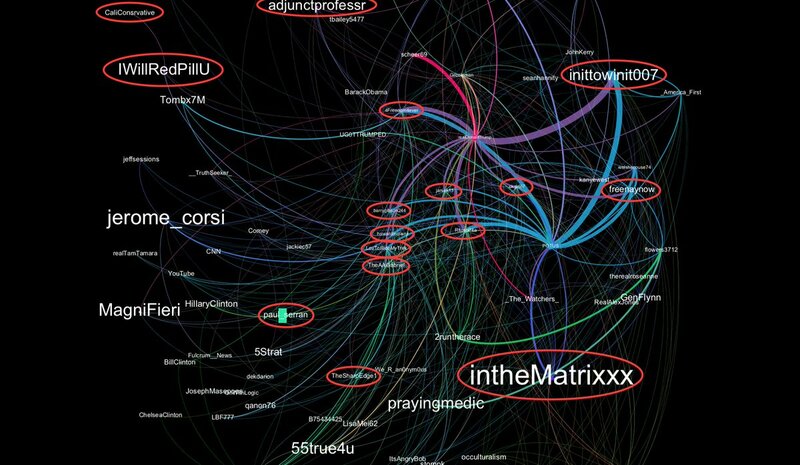 This photo is particularly interesting because of the interactions between the nodes. 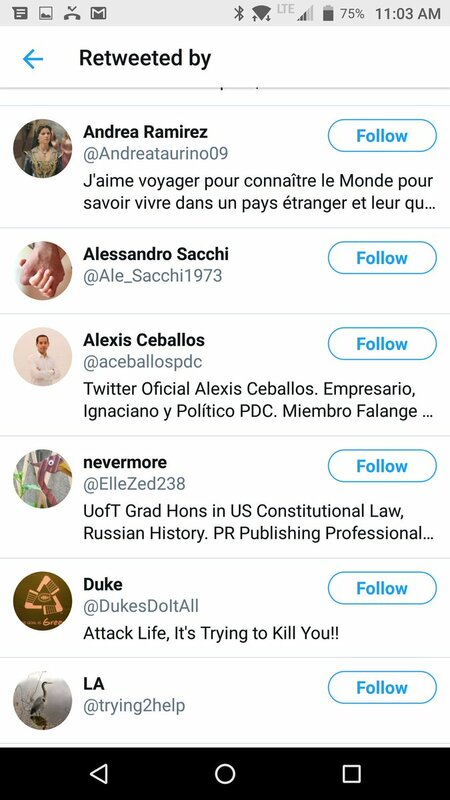 Here are some more #Saudi #khashoggi related twitter bots. 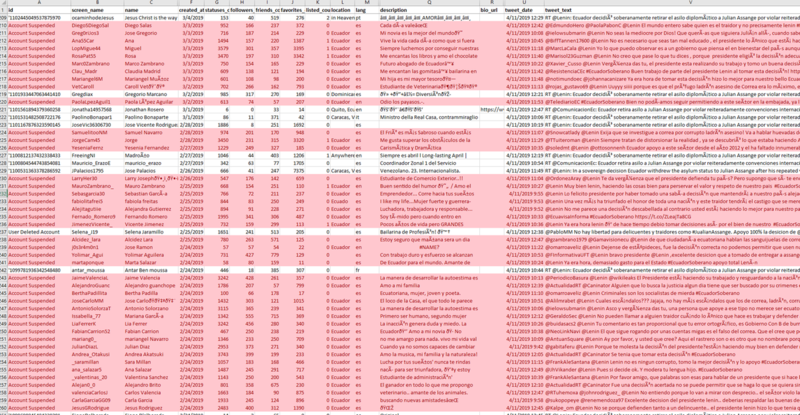 I don't have time to analyze all of them, so there may be false positives, some might be commercial bots. I sat on the list for a while and twitter eventually found about half of them. some of the accounts are shockingly old. if twitter 😉 is going to suspend them they should. Give researchers a couple of days to look at them. Check what the bots are retweeting and kill the "full network" not just these accounts. Check the F/F of the bots to get all of them. They older accounts using "twitter for ipad" to retweet. The bots are set to retweet some anti-#Soros tweets, stuff about #MBS ? and politics that I have no clue about. [Thread] ⚠️ Small warning about Bots/automated strategies on TradingView - even if you're not a developer some of you may be thinking of subscribing to someone's paid-for bot after seeing their apparently impressive results, you should read this first..
#1 Heikin-Ashi; this is a well known problem. HA candles can be useful in a bot's algo. But their Open & Close price is not the same as the *real* O & C and it's the HA values which T.V. uses to calculate profit & loss. It can be wildly wrong and produce runaway false positives. First thing that turned up was this article from the site newsbeezer(. 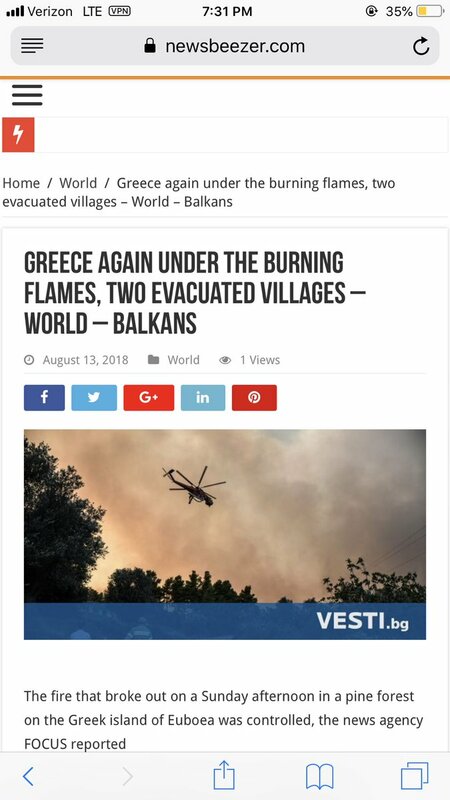 )com (site title: Bulgaria Evening News). 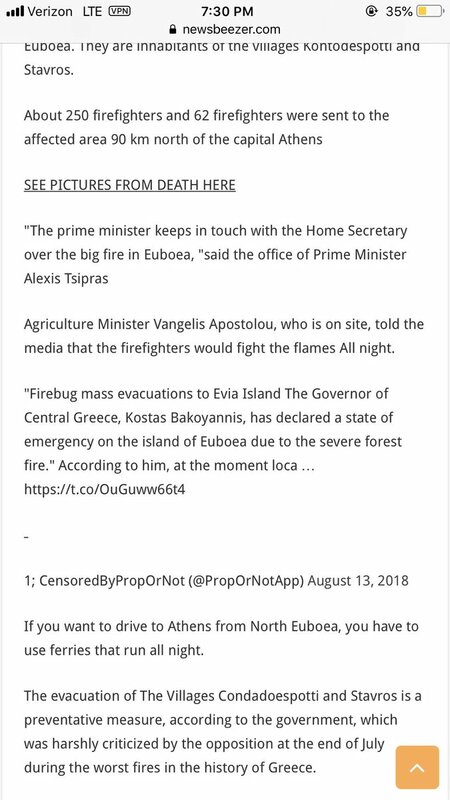 As you can see in the screenshot, @PropOrNotApp is quoted discussing conditions during fires in neighboring Greece. Sure, why not? What else is on this site? Well, they appear to be big fans of the National Front for the Salvation of Bulgaria, normally abbreviated to NFSB, though oddly they seem to alternate the abbreviation between NFFS and NPSB. Neither appear affiliated with another political party. #QAnon trends appear to be connected to Twitter rooms, high-volume accounts and a conservative political marketing firm called AppSame. Nearly 1/3 of all RT's on this tweet are #Bots. 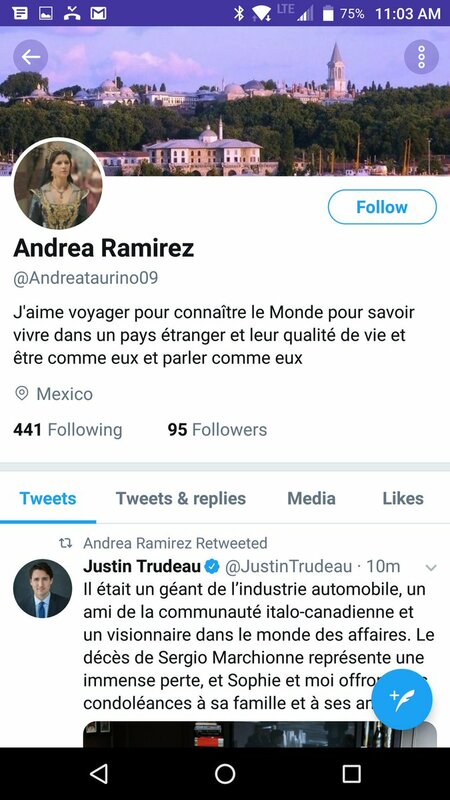 Nearly 1/3 of all positive comments regarding PMJT are #Fake accounts. Click on them - Look. #SocialEngineering is happening right in front of you. You are being manipulated. Remember when conservatives got the # trending to release the memo? Liberals were convinced that it was #Bots! WE ARE NOT BOTS‼️ But they like to call us bots. They write software programs that identify real life people - conservatives- as bots to justify their censorship! Conservatives! Listen up! Those apps that supposedly identify bots - they specifically target Trump supporters! If you think an acct might be a bot, ask to phone them! 🙏🏻 There are apps like Telegram that allow for making a phone call without sharing your phone number or your email address. Let’s talk about the new #russianbot/#russianshill/#russiantroll/#altright darling, #walkaway for a bit, shall we, since clearly they’re pushing this as their new marketing campaign. With the american midterms fast approaching I think it's important to point out twitter still has a political #bot problem. Checking the #Elecciones2018 hashtag alone you can find a lot of bot accounts. i'm going to just highlight what a few of them look like, these are just the ones using @TweetDeck to run fully automated accounts. I thought I would give a go at a nice little tweet thread today, sharing my key takeaways from #DWX18. Ich habe 10 der mir bekanntesten #noAfD-Accounts und deren Supporter etwas genauer angeschaut. Da ich so ziemlich bei allen gesperrt bin, hat mir mein Nachbar @AndiLutz80 dabei etwas geholfen. Mein Hauptaugenmerk lag darauf, welchen Accounts die zehn Kandidaten folgen. Eines fiel mir sofort auf: @MalteKaufmann #MalteKaufmann (MK) folgt dreimal so vielen Accounts, wie die anderen neun zusammen das tun. Muß erst mal nichts heißen?! You can still find most of these #russian #bots yourself. After 70 years of imperial/neoliberal indoctrination the web of lies is so obviously absurde (9/11, Skripal, WH = ISIS, etc. ), that it is dissoluting. The empathetic humanity connects, closes ranks and sends their eternal psychopathic rulers and their lackeys into nowhere land. The "evil empire" is a lifelong three year old child. I certainly loved my children at that age too, however only because they created not only a surreal mess, but also made steady progress. The elite invented "democracy" to protect them from the empathetic people. The media are their means for misleading the people sedated by "democracy". This is definitely a bad thing since the people have become educated and the elite almost totally insane. Why would the chinese government or the russians be running twitter bot networks that retweet Turkish President Erdogan? I ran across these 30+ accounts all created on the same day, all with the same status, friends, followers, and favorites totals. When you are scrolling through twitter data on a spreadsheet this never happened unless you have found some bots.